Places for People, a property investment and management company and one of the UK’s leading placemakers, has launched the Innovation Lab, a new initiative designed to help startup businesses grow through close collaboration, mentorship and targeted investment. The programme is being run in partnership with L Marks, a corporate innovation specialist and early stage investor. The Places for People Innovation Lab is part of a group-wide initiative to promote disruptive behaviours within the organisation, embrace new digital methods that will future-proof the business, and ultimately enhance customer experiences. The business ‘accelerator’ programme will operate alongside other internal innovation initiatives to give Places for People teams exposure to entrepreneurial thinking and diverse new products. The Innovation Lab will invite successful startups to demonstrate and validate their business ideas with one of the UK’s largest placemaking organisations over the course of a 10-week collaborative innovation programme. · Reimagining Physical Spaces and Construction Methods: Technological solutions that are reimagining, redesigning and rebuilding physical spaces and construction approaches for the future. · Smarter Buildings and Asset Management: Solutions that can help transform the performance of buildings and its physical interiors to enable better and more efficient management of buildings and services. · Serving Our Communities: Places for People exists to create places that work for everyone. Therefore, solutions that look to improve tenants’ living experiences are of great interest. In particular, Places for People would like to hear from tech startups who are helping people become happier, healthier and more independent. · Making Working Life Easy for Our People: Places for People is keen to create a better culture and physical environment for its workforce that will lead to better health, safety and wellbeing. · Wildcard: Innovative ideas come in all shapes and sizes. Places for People welcome solutions that are looking to shape and transform lives for the better in the 5, 10 or even 20 years. Nothing is too crazy – go wild! Places for People has always championed innovation internally, but we haven’t tapped into the disruptive potential of the wider marketplace until now. As one of the largest placemaking organisations in the UK, the opportunity for us to identify, pilot and implement new technology is huge. Through the Innovation Lab, startup businesses across the country will have access to a unique array of resources. We look forward to collaborating with fellow disruptors, accessing ideas and technology which will help us continue to lead the way in building and managing high quality homes and communities. 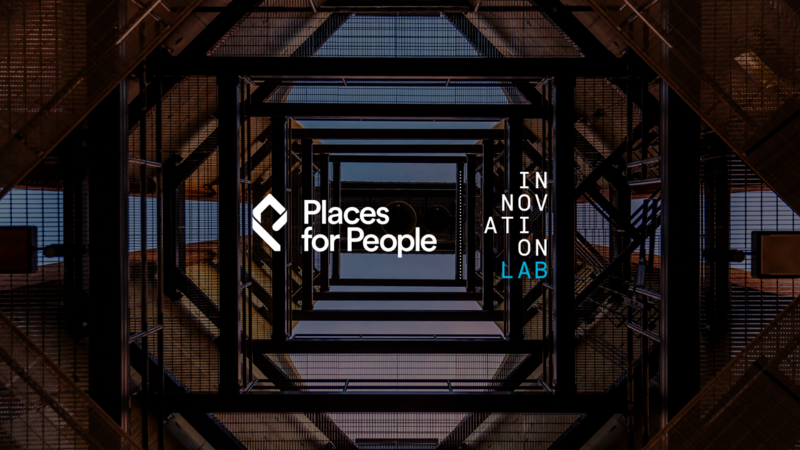 The launch of Places for People Innovation Lab underpins its core vision to build places that work now and in the future. Through collaboration with startups in the Lab,we will be able to identify the latest technologies and ideas that will not only reimagine the physical space itself, but also create environments that deliver social outcomes for all. The intersection of innovation and sustainability are of key importance for L Marks and we are excited to be working with Places for People on this important initiative. L Marks Limited is an Appointed Representative (FRN 792585) of Met Facilities LLP which is authorised and regulated by the Financial Conduct Authority (FRN 587084). © 2019 Copyright L Marks All rights reserved 2018 L Marks Ltd.